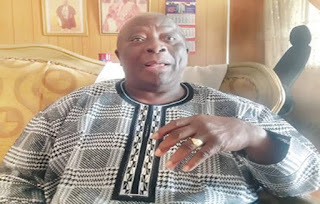 Ayo Adebanjo, a chieftain of Afenifere has challenged President Muhammadu Buhari to name those behind the killings in Nigeria. He said this while reacting to a statement credited to Buhari’s spokesperson, Garba Shehu that the Presidency had evidence linking some politicians to the killings across the country. Speaking with newsmen, the constitutional lawyer stressed that Buhari was confused for linking the killings to politicians. He said, “If he knows that they are politicians, let him name them so that we can stone them. “If Buhari says that at this stage, those who are saying he is confused will be correct.